Résumé: Mettre fin à l’arbitrage « forcé » à huis clos : La décision de la Cour européenne des droits de l’homme dans l’affaire Mutu et Pechstein c. Suisse et l’exigence d’une audience publique devant le Tribunal Arbitral du Sport. Dans l’affaire Mutu et Pechstein c. Suisse, requêtes n° 40575/10 et 67474/10, la Cour européenne des droits de l’homme a jugé, le 2 Octobre 2018, que les procédures d’arbitrage devant le Tribunal Arbitral du Sport (TAS) nécessitaient la tenue d’une audience publique pour soumettre certaines questions de faits sous le contrôle du public. Dans le cas de Claudia Pechstein, une patineuse professionnelle de vitesse allemande, cette question de faits concernait le dopage pour lequel l’Union internationale de patinage avait prononcé sa suspension pour deux ans. L’acceptation de la juridiction du TAS constituait un arbitrage « forcé», car elle lui avait été imposée pour lui permettre de pratiquer sa discipline en tant que sportive professionnelle. La patineuse n’avait donc pas renoncé de plein gré à son droit à la publicité des débats. Bien plus, Claudia Pechstein avait expressément demandé la tenue d’une audience publique devant le TAS. Pour ces raisons, la Cour a conclu qu’il y avait eu une violation de l’art. 6 para. 1 de la Convention européenne des droits de l’homme en raison de la non-publicité des débats devant le TAS. En revanche, la Cour a rejeté les autres allégations concernant le manque d’indépendance et d’impartialité du TAS. On October 2, 2018, the European Court of Human Rights (ECtHR, the Court) published its long-awaited judgment on sports arbitration in Mutu and Pechstein vs. Switzerland (app. nos. 40575/10 & 67474/10). The Court held that the Court of Arbitration for Sport (CAS) must accommodate the request for a public hearing if the facts and not the legal assessment give rise to the dispute, in particular if the athletes had no other option but to accept the jurisdiction of the CAS in order to exercise their sport – a practice commonly referred to as forced arbitration. In relation to the application by Claudia Pechstein – a professional speed skater from Germany, who had been suspended for two years by the International Skating Union after a positive doping test – the lack of a public hearing violated the right to a fair trial under Art 6 para 1 of the European Convention on Human Rights (ECHR, the Convention). At the same time, the Court dismissed the alleged lack of independence and impartiality of the CAS. The CAS is an arbitral tribunal, located in Lausanne, established as a private legal entity under Swiss law, which settles sports-related disputes. Disputes can only be submitted to the CAS if an arbitration agreement exists between the parties. The arbitral awards by the CAS can be challenged before the Federal Supreme Court of Switzerland, often on public policy grounds. In fact, both applicants had tried to do so before applying to the ECtHR, albeit without success. In Claudia Pechstein’s case, the CAS had confirmed the decision of the International Skating Union to suspend her for two years after a positive test for doping – a result she claims was false. In the case of Adrian Mutu, a professional football player from Romania, the CAS had confirmed the 17 million euros of damages awarded by the FIFA Dispute Resolution Chamber to Chelsea London, Adrian Mutu’s former club, for breach of contract after a positive drug test. At the outset, the ECtHR noted that the fair trial guarantees under the Convention applied indirectly to the CAS. Unlike Adrian Mutu, so the Court argued, Claudia Pechstein had not voluntarily renounced her right to a fair trial when signing the arbitration agreement. She had no choice but to accept arbitration in order to participate in speed skating competitions, while Adrian Mutu could have played for another club. Thus, the ECtHR concluded in line with the Swiss Federal Supreme Court that Claudia Pechstein was forced to accept arbitration. With regard to a public hearing, the ECtHR held unanimously that not granting Claudia Pechstein a public hearing violated the right to a fair trial under Art 6 para 1 of the Convention. The Court reiterated that Claudia Pechstein was challenging her suspension not on legal, but merely on factual grounds. The CAS should have accommodated her request to hold a public hearing in order to examine the facts that had given rise to the dispute and affected her reputation as a sportswoman. As far as the independence and impartiality of the CAS was concerned, the ECtHR examined the claims on various grounds, notably the strong financial ties of the CAS to sports federations, the internal power imbalances, and the selection and nomination of arbitrators, but found none of them sufficient to confirm the alleged lack of independence and impartiality of the CAS. Unlike the majority, both the Swiss and the Cypriot Judge saw it as established that the CAS did not meet the standards of independence and impartiality under Art 6 para 1 of the Convention. Not least the fact, so the two argued, that Claudia Pechstein did not get to nominate one of the arbitrators, and that arbitrators can be discharged at any time during their four-year mandate, demonstrated the lack of independence and impartiality of the CAS. Their joint dissent was certainly not appreciated by the Swiss Government that voiced concerns about losing the CAS in Lausanne. Aside from further damaging its legitimacy, a move of the legal seat of the CAS to a place outside the territorial scope of the Convention would not shield the CAS from its indirect obligation to discuss certain contested facts in a public hearing. After the ruling of the ECtHR in Mutu and Pechstein, it is unlikely that the member states to the Convention will give effect to arbitral awards within their territory that presumably violate the right to a public hearing regardless of the place where the arbitral tribunal was located. The Court’s judgment is only available in French. It is striking that the ECtHR used a different wording in different parts of the judgment when finding a violation of Art 6 para 1 of the Convention: “non-publicité des débats” (para. 183) and “l’absence d’une audience publique” (para. 182) – two concepts that are closely related yet different. While the latter calls for a public hearing before the CAS, the former is somewhat wider and, at least to an English-speaking audience, closer to the open court principle. Finding the right dose of publicity that satisfies both the ECtHR and the CAS will certainly not be easy. Different options are on the table to comply with the demands of the ECtHR: to instate a professional jury at the CAS that observes the proceedings if necessary, to admit certain members of the public or the press, or even to livestream the hearings on the website of the CAS. The CAS should seize the opportunity to remedy its perceived lack of procedural fairness. Putting an end to forced arbitration behind closed doors will promote trust in the CAS, not least in the sports world, and reinforce its legitimacy. 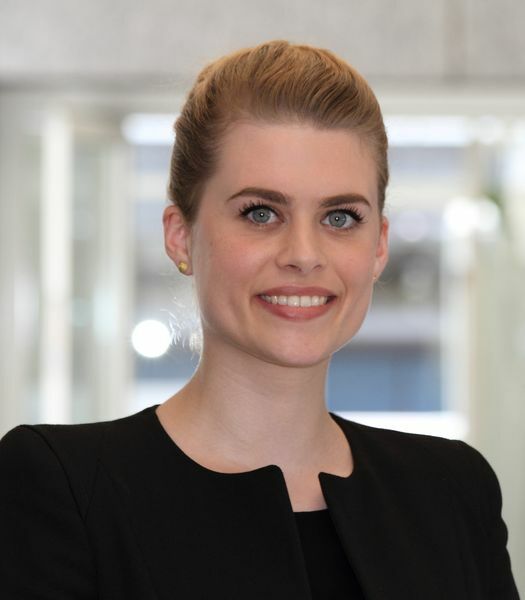 Edith Wagner, Research fellow at the Max Planck Institute Luxembourg for Procedural Law. She holds an LL.M. degree from Yale Law School and is a doctoral candidate in law at the University of Heidelberg. In her dissertation, she examines the quest for efficiency and effectiveness of the European Court of Human Rights, where she completed a traineeship as part of her doctoral research.